Now that I have a family, traveling is a lot more expensive, and airfare is a huge chunk of that. I haven't given up on future trips, though, because there are so many ways to get free tickets these days. Below are some of the ideas that have worked for me or for people I know. If you've flown at all, you probably know this drill. A flight gets overbooked, and so the gate agent asks for people to give up their seats in exchange for some sort of incentive. Often, that incentive is a voucher for a free or discounted ticket in the future. When you volunteer, they will usually book you through on another flight, so you still have a guaranteed way to get wherever you're going. Did something go wrong on your last flight? If you write a polite letter to the airline, you will often receive some sort of compensation in return. This is sometimes even a voucher for a free flight! Even if you don't get that big payoff, you will often receive a discount on future tickets or some sort of free upgrade for your trouble. Most airlines respond positively to polite complaints. If something went wrong and you can document time, place, flight number, and personnel involved, you are likely to get something in exchange for your trouble. 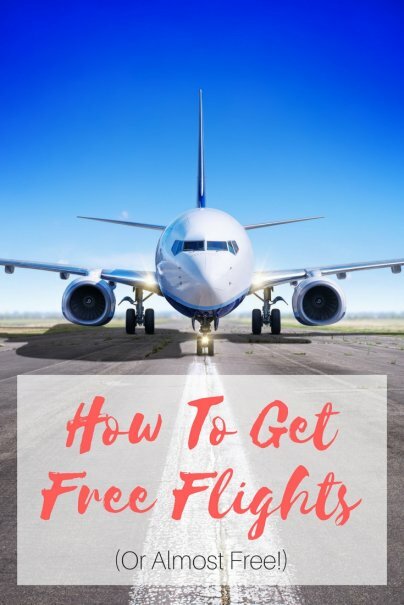 These days, free airline tickets are offered as incentives for everything from opening a brokerage account with a certain minimum amount of money to taking out a mortgage. While you don't want to do these things just for the tickets, if you're going to do them anyway, you may as well get the free travel. If you're looking to make some sort of large investment, see if there's a way to do it that involves free tickets. Airline employees often get discounted flights or get to fly standby for free. If you do a lot of flying, or would like to, and are open to a new or a second job, there's no reason not to try and get hired by an airline. 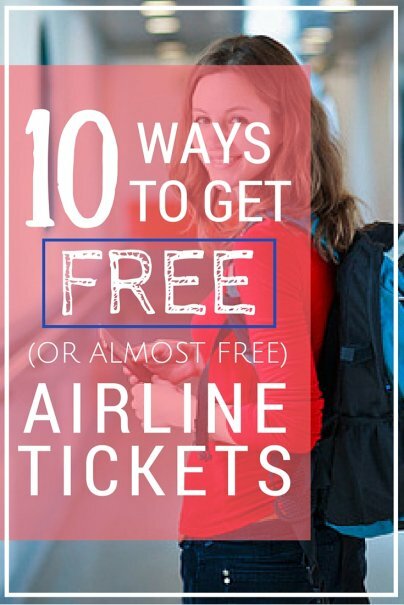 As a bonus, many airlines also offer free standby tickets for immediate family members, so you can all fly for free together. Ok, so this one may sound like cheating because someone is still paying for the tickets, but the key is that YOU are not paying for them. If there's a trip you'd particularly like to take and you're the plan-ahead type, go ahead and see if you can't get the tickets for Christmas. Maybe all of your friends or relatives could go in together. Even if they can't come up with the full price of the tickets you want, asking for contributions can lower your personal investment significantly. 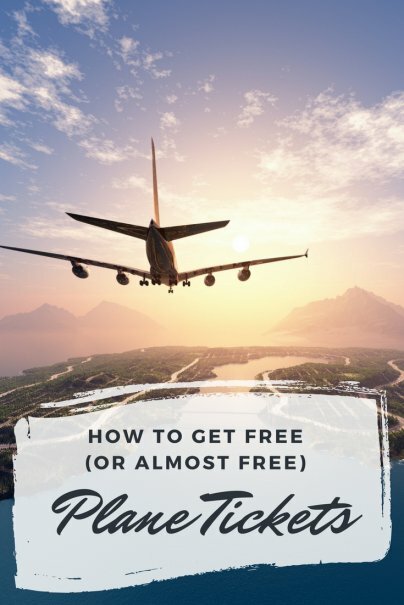 If you know someone who racks up the frequent flyer miles, see if they'd be willing to transfer some to you so that you can get a free ticket. This is particularly useful if the person giving the miles has more than they will ever use, knows that their miles will expire before they use them, or wants to give you a significant gift but really doesn't have the money. Try focusing your efforts on friends or relatives who travel quite frequently for work. There are many contests and sweepstakes out there that offer free airline tickets to winners. Sure, your chances of winning any single contest are low, but if you enter them systematically and frequently, your chances of winning eventually go up. While you can't plan your life around winning a sweepstakes, the tickets would be a nice surprise whenever your name comes up. A couple months ago, United Airlines made a mistake and offered a bunch of tickets for very cheap or free. While the mistake was only live for a couple of minutes, many people took advantage of it. If you frequent travel forums, though, you can catch these deals because people will post about them almost as soon as they happen. Sometimes, airlines will try to rescind the tickets sold during these mistakes, but most often they are honored. If you want free tickets, this is a great way to find them. Standby is no longer free, unless you or an immediate family member works for the airline. Flying standby used to be a great way to get free and/or deeply discounted airline tickets. However, most airlines now require you to have already purchased a ticket to even be eligible for standby flights, and many will charge you an additional fee, too. Each airline has a different policy, so check this out before you try to fly on a standby basis. Good luck, and good flying! How have you scored free or cheap airline tickets? I like the tip about complaining politely. If you're willing to take the time, it can very often pay-off big time! I don't think choosing a home loan for the air tickets is a wise thing. You can possibly end up choosing the wrong loan for your needs! I agree 100% with complaining politely. My wife and I had a flight delay and ended up grounded for the night in Uganda. Once we got home the next day we politely notified KLM of the poor handling by their airport staff and how the delay negatively impacted our work schedules. Upon confirmation of our flight details, KLM promptly sent an apology letter to us along with $700 checks for each of us! Sometimes credit card companies offer a lot of air miles when you sign up for a new card. If your credit is not bad, you can take advantage of that. It's really your business development, I like it so much.